Home » Leadership » Albert C. Black, Jr.
Mr. Black was appointed to our Board in connection with our IPO in July 2013 and is the Chairman of the Nominating and Corporate Governance Committee and a member of the Finance and Investment Committee. Mr. Black founded On-Target Supplies & Logistics, Ltd. (“On-Target”), a regional logistics management firm that provides outsourced services to a diverse set of companies in 1982. On-Target’s logistics and supply chain functions include product sourcing, procurement, transportation, warehousing, light manufacturing, web-based fulfillment, distribution, and second market management. As Chairman of the Company, Mr. Black’s primary responsibility is to oversee the executive management and develop the strategy for On-Target and its affiliate companies TreCo Investments and ReadyToWork®, a workforce training and development company. Mr. Black’s professional and community experience over the years has included serving in leadership positions with several civic and educational institutions, including Baylor Scott and White Health, one of the leading healthcare delivery systems in the country where he has served as a trustee for over 25 years. Mr. Black is a past Chairman of the Board of Trustees for Baylor Scott and White Health. Mr. Black also serves as the inaugural chairman of the Charles A. Sammons Cancer Center Board. He is also a sponsoring trustee of the BHCS Diabetes Health and Wellness Institute. 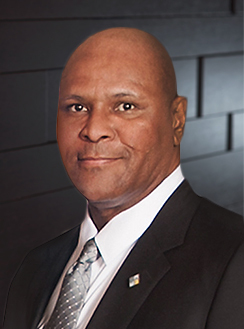 Mr. Black also has served as Dallas Regional Chamber Board Chairman, PrimeSource Board Chairman, and the Dallas Housing Authority Board Chairman. Mr. Black’s college and university board experience include St. Louis University Board of Trustees, Baylor University Regent, Texas Southern University Regent, and Paul Quinn College Regent. Mr. Black graduated from the University of Texas at Dallas and earned an MBA from the School of Business at Southern Methodist University. We have determined that Mr. Black should serve on our Board because of his entrepreneurial start-up business experience, his experience as President and CEO of a company, and his important perspective serving as a long-standing member of the board of trustees of a major healthcare delivery system as well as other civic and educational institutions.